Marcelene Elizabeth Bergen, known throughout her life as “Betsy,” passed away at her home in Topeka, Kansas on Monday evening, January 9, attended by family. She was 88 years old. Betsy was born in Osage County, Kansas on May 12, 1928 to Walter Thomas “Tad” Clark and Aleatha Mae Tyner, the youngest of three children. Her childhood was one of rural, depression-era poverty and hardship, but one which deeply valued family, education, and hard work. With these values, Betsy attended grade school at a small, one-room country schoolhouse. She graduated from Appanoose High School in 1945. She went on to become a first-generation college graduate, earning a Bachelor’s degree in Education and Psychology at Ottawa University in Ottawa, Kansas in 1949. As a student, Betsy gained a Kansas state teaching certification and began teaching in rural, Kansas public schools in 1945, a career that would last for 18 years. During her time as a student and teacher, Betsy married a young WWII Navy veteran, David Earl Moberly, on August 31, 1947. They had two children, Joe and Alan, as they both pursued advanced college degrees and careers in education. Betsy earned a Master’s in Family and Child Development in 1964 and began teaching at Kansas State University in 1965, where she would eventually earn a PhD and become a professor of Human Ecology and remain for 41 years. In a time of great change and political controversy, Betsy organized and taught the first course on Human Sexuality at KSU in the 1970s, a course which quickly became popular and which she taught for four decades. Her research focused on human sexuality, health and AIDS education, marriage and family relationships, and single parent and reconstituted families. Nationally and internationally recognized as an AIDS educator and speaker, she conducted sexuality and AIDS education in China, Mexico, Argentina, Paraguay, Brazil, and Canada. 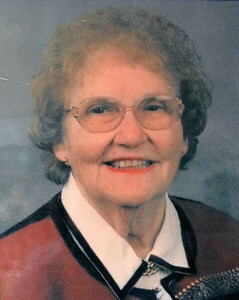 She also served for a time as president of the Kansas Council on Family Relations. In the meantime, Betsy and David separated, and she remarried to Gerald Roy Bergen on 30 June 1967. The two dedicated their lives to bringing their two families together, raising her two children and Jerry’s three, Kevin, Kirsten, and Jeri Sue, together. Betsy retired in 2005 after 41 years of teaching at Kansas State University and turned to spending time with family and to her long-time hobby: quilting. She was an award-winning quilter, for years an active member of the Kansas Capital Quilters Guild in Topeka. She is survived by three children, Alan (Dianna) Moberly of Topeka, Kirsten Bergen of Seneca, and Jeri (Tasha) James of Lawrence; grandchildren, David (Delaney) Moberly, Aleatha (Samuel) Shannon, Joseph (Erin) Moberly, Mary (Chris) Koeven, Emma Moberly, Benjamin Moberly, Rebecca Moberly, Jeremy (Debbie) Bergen, Chris (Anna) Bergen, Kendra Volz, Justin (Rachel) and Travis (Andrea) James; as well as 18 great-grandchildren. She is preceded in death by her parents and two siblings, Walter and Gwendolyn; her husband, Gerald Bergen; and two sons, Joe Moberly and Kevin Bergen. Funeral services will be held at 1:00 p.m. on Monday, January 16, 2017 at Penwell-Gabel Southwest Chapel, 3700 SW Wanamaker Road, Topeka. The family will greet friends one hour prior to the service. Burial will follow in the Overbrook Cemetery. Memorial contributions in Betsy’s honor may be made to the M. Betsy Bergen Teaching Excellence Fund, College of Human Ecology, Kansas State University Foundation, 1800 Kimball Avenue, Suite 200, Manhattan, Kansas 66502 or Topeka Civic Theatre, 3028 SW 8th Street, Topeka, KS 66606 or to the Alzheimer’s Association, 3625 SW 29th Street, Suite 102, Topeka, KS 66614. To leave a special message for Betsy's family, please click the "Share Memories" button above. Add your memories to the guest book of Betsy Bergen. I did not know Betsy well until I had to have a PhD dissertation typed. When I asked others who had received PhDs and professors, almost to the person the answer was Betsy Bergen. Then, when I defended my dissertation before my committee I was asked the standard question, 'Who typed this dissertation ?' When I said Betsy Bergen there were no questions asked about typing or structural content. That part passed without further comment. In my PhD pursuit I took a number of PhD classes with Betsy. She was, to me, one of the sharpest, 'heads up' student that I had the pleasure of meeting in my PhD class experiences at K-State. Even though Betsy excelled and became a 'cut above' most, she was still "Betsy." A tribute to her uncommon personality. It was a pleasure to have known and associated with Betsy and her husband Jerry. Gerry Bergen was my dad's (Bud Messick from Marysville, Ks.) first cousin so I knew Gerry, Uncle Walt and Aunt Marion. He was such a happy guy, and I think that happiness was in part due to Betsy. I am a graduate of KSU as is our daughter who took Betsy's class. Many KSU students were affected positively by Betsy Bergen, and she was a very popular teacher who knew how to make people laugh, think and discuss topics that were sometimes "taboo" with other teachers in the same profession. My mom, Mary Messick, recently died and had fond memories of both Gerry and Betsy. I just wanted to extend our sympathy and memories of your mother. I became acquainted with Betsy when she joined the Kansas Capital Quilters Guild. Since I didn't really know much about her "former" life, it was great to read about it in her obituary. She wanted to live to 100. Well, Betsy, you didn't quite make it but you certainly made good use of the time you had. I have never seen anyone so organized! And the quilts that you made were outstanding! I will certainly miss her enthusiasm and the twinkle in her eye. My condolences to her family. I was her student and then a faculty colleague. Your mother was special! Betsy was my dissertation advisor many years ago, yet what I learned from her animates my life to this day. From our initial meeting, Betsy had faith in me and my abilities. I have tried to treat anyone I mentored with that same respect and the expectation that the person knew how to do the job with a bit of encouragement and guidance. Betsy was a pioneer in the field of family studies and I was proud to call myself her student, her friend, and her admirer. I was in Dr. Bergen's class in 1995 at K-State. She was so entertaining, so vibrant, so sharp and witty that she made the class an absolute hoot! I will never forget when a student walked in late one day for class which was starting right after the noon hour, and she just looks up and says, "You need to get better at the nooner!" The entire class laughed so hard I thought we were going to die. I am so sorry to hear she has passed away. She was a very amazing teacher and person for sure. My sympathies. Sending our sympathy and prayers to all the family. We feel like we know each of you from all the time that we were with your parents. Great friends and sorry health has slowed us down the last few years so that we could not spend more time together. Love to each of you!!! We extend our heartfelt condolences for your loss. Please be assured of God’s enduring love for you, his concern with your well-being, and his willingness to help you endure this difficult time. (1 Peter 5:7) We pray that God’s promise at Revelation 21:4 will provide you comfort in the days to come. For further comforting thoughts, please visit https://www.jw.org/en/publications/magazines/watchtower-no3-2016-may/when-a-loved-one-dies/. I did not have the fortune of knowing Ms. Bergen for very long. However, I was deeply moved that you shared just a small portion of the LIFE she lived during my visit to the home in December 2016. Quite a Legacy...and it continues through you and your precious family. May Love hold you, Peace fill you and Grace sustain you. Betsy and I were classmates at Appanoose High School 1941-1945. We were two of only six members of that class and became lifelong friends. I married one of the members, Loren Bainer, and one other, Alan (Swede) Anderson has been a lifelong friend of all three of us, which is remarkable in itself. We shared many ups and downs of life during all of these years, rejoicing in the good times and being supportive of one another in the not so good. These remarkable friendships have endured because of our love for one another and now, in the twilight of our years, we are still together. Betsy was a wonderful friend, a talented and dedicated individual who left a positive mark on all she touched. There will always be a void that cannot be filled. I was a member of Kansas Capitol Quilt Guild with Betsy. I so enjoyed getting to know her. If I remember correctly, we shared a wee bit of history as my Aunt Joyce Terra's was a teacher in the Home Economics Department at KSU at the same time. Betsy and her beautiful quilts will be missed.